We are delighted to welcome the Poet Laureate Carol Ann Duffy on Thursday 5 June at 7pm for what will be an intimate evening of poetry and music. 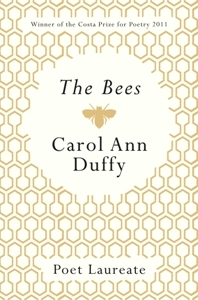 An extraordinary poet and a mesmerising performer, she will read from recent collections including aptly The Bees: “Sometimes the bee is Duffy’s subject, sometimes it strays into the poem, or hovers at its edge. In the end, Duffy’s point is clear: the bee symbolizes what we have left of grace in the world, and what is most precious and necessary for us to protect.” She is joined by multi-talented musician, John Sampson. Hosted in the intimate 75 seated Studio space at The Hive. She was about 6ft tall, wasn’t she? Wonderful woman. I’m sure you have had some remarkable experiences. Remarkable… yes… in a totally different arena, I’ve seen Tina Turner many times over the years – her energy is truly remarkable. Oh my… one of my sadnesses is never having seen Queen. I’d so have loved to have seen Freddy Mercury. Sad, I was a very timid kid and couldn’t say a thing! C’est la vie! I’ve been to a few big concerts but that was the only back stage experience. But a most memorable one. This sounds interesting. Pity I missed it.